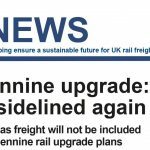 The latest issue of the Rail Freight Group’s (RFG) regular newsletter RFG News has now been published. 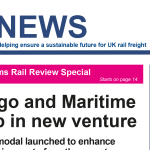 The September edition (issue 131) covers our recent RFG Awards Dinner that saw Direct Rail Services (DRS) claim the coveted Business of the Year Award 2018. It was another fantastic night and we were delighted to welcome Baroness Sugg, Parliamentary under Secretary of State for Transport, who delivered an optimistic and encouraging after dinner speech. 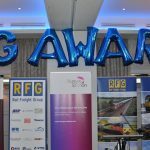 Highlights of the night also included a Special Lifetime Achievement award presented to Tony Berkeley and our Young Railfreight Professional of the Year being awarded to GB Railfreight’s Adam Taylor. 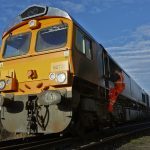 Other news includes Eddie Stobart’s first Tilbury train and the opening of iPort Rail in Doncaster. 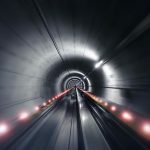 Along with our regular column from JR Consulting, we welcome guest articles from Tim Casterton on Irish track access charges and Pieter Rypma from Siemens Rail Automation on digital technology. Click the link below to download the newsletter.